Yesterday, Williamsville Native and former JSG student got the call from USA Hockey that he would be one of the 25 men representing his country at this year’s Winter Olympics in South Korea. “It was definitely a nice moment, to say the least … You dream of playing in the Olympics” Leggio was quoted saying about the call he received. A nice moment, yes, well deserved, absolutely! Longtime Team USA General Manager Jim Johannson had only great things to say of Leggio after the announcement. A great teammate, a symbol of consistency between the crease, and quite frankly, a man who can keep his team in games. And it’s not hard to see why he is held in such high regard. After finishing four years at Clarkson, Leggio made a name for himself in the Buffalo Sabres organization, leading their AHL team to the playoffs in each of his three seasons in the system. In 2015, Leggio ventured overseas to continue his career and has done so with authority. 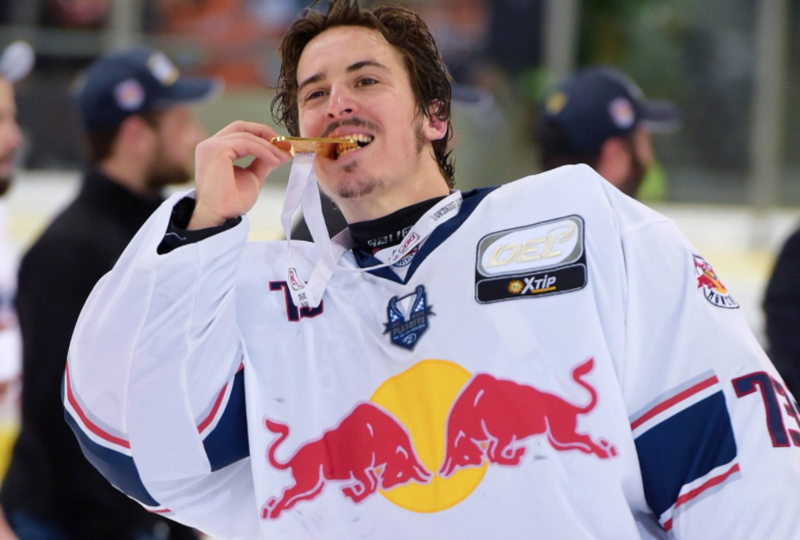 Playing for German team EHC Red Bull Munchen, he has led the organization to back to back Champions and is chasing his third this year. 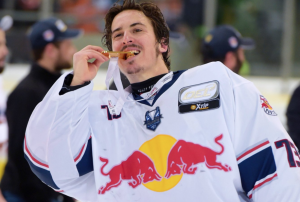 To this point in the season, through his three years in Germany, Leggio has compiled a 43-23 record in 67 games. But the accolades don’t stop there for our friend as this will not be the first time he will done the Red, White and Blue. He’s previous represented the United States in the Deutschland Cup in 2009 and 2017 and has also been a part of the 2010 and 2014 World Championship teams. An amazing opportunity for David and one that he has most certainly earned. We wish him and the rest of team USA the best of luck at the Olympics!